BRYAN EATON/Staff Photo. 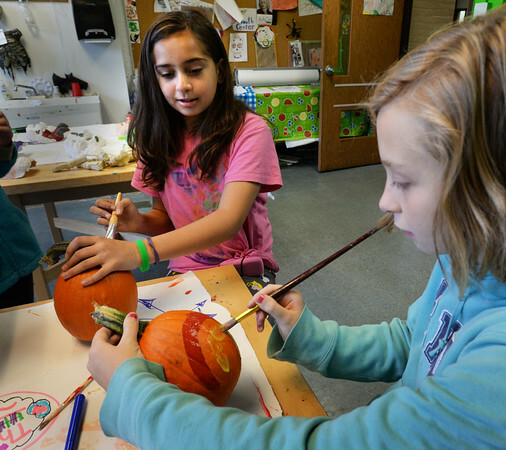 Sophia Novell, 11, left, and Kylie Dunphy, 12, decorate pumpkins in the artroom at the Newburyport Rec Center on Tuesday. Kylie is painting a rainbow and unicorn and Sophia is putting an "EC" on hers which stands for Endicott College where her sister, Sarah, attends and will be giving to her.